You want more from your event speaker. More interaction. More engagement. More results. Jim White gives you all of these. Jim makes it a key priority not only to know his audience, but to stimulate them and engage with them. He presents meaningful content tailored to your distinct and unique needs to facilitate an in-depth conversation with his audience. Jim moderates discussions with a focus on critical thinking and encourages attendees to fully participate and take responsibility for their learning. One of Jim’s favorite things about speaking is being able to interact with his audience and help them to uncover new and unexpected ways to solve problems. Jim delivers keynote addresses, speaks at breakout sessions, and leads seminars. He speaks to groups of all sizes, to a diverse set of industries, and to all levels of leadership. 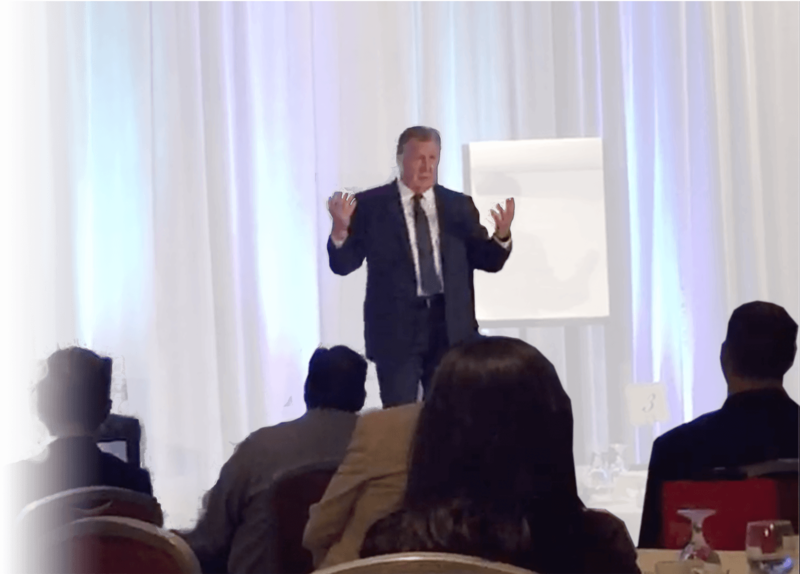 If you want more from your next event speaker – someone passionate and engaging – book Jim White. Send us an email with as many details as possible regarding your event by clicking the button below and we’ll review and reply within 24 hours.